First I knew about “The Reading Room” when I met Koichi Shimizu. He is a sound designer and manager of music label in Thailand “SO::ON Dry Flower”. I asked to him recommended place in Bangkok, then he told me about The Reading Room. I visited the lecture by R&Sie(n) architecture group based in France. Over 30 people is on there, and the lecture had started in English language. It’s hard to talk together in English on the street in Bangkok. But most of creators or art fans in Bangkok speak English well. Nowadays many young people goes to NY, London or any foreign country for studying. It’s like fashion in Thailand. So it’s ordinary we can talk in English with younger creator in Bangkok. After the lecture by R&Sie(n), audiences and members of R&Sie(n) had started talk session passionately. 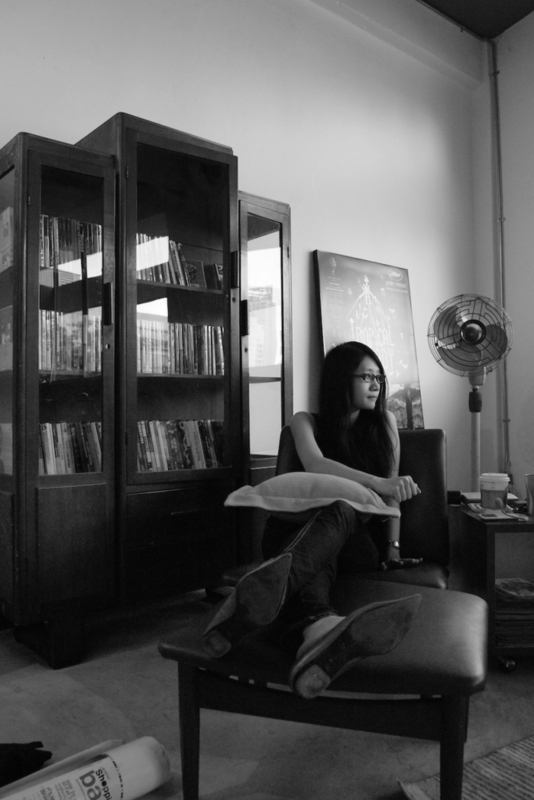 After few days, I visited to The Reading Room again. The day wasn’t hold any event. I could stay at there long time. Sunshine came through the wide window, white wall, comfortable sofa and so many books relating art… Surely it was a reading room. I tried to ask several questions to Kyo, she is a director of The Reading Room after I came back to Japan. 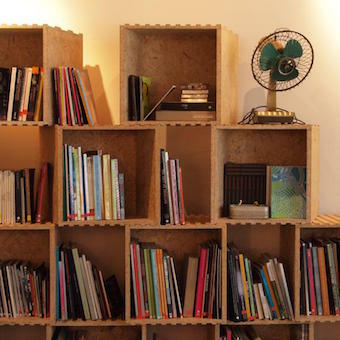 This is an introduction of The Reading Room advanced art space in Bangkok. Kyo the director of The Reading Room. ──What type of persons are visiting to The Reading Room? students in art school? or worker? The audience of The Reading Room are mostly young people – college students or young professionals who are interested in arts and culture. Age ranges are probably between 20s-30s. Most are those in cultural and humanities fields – from art, design, film, to social sciences. ──Why did you(or the owner of The Reading Room) start The Reading Room? and When it has started? Indeed, I’m the owner (founder and director) of The Reading Room. It started off in late 2009. I basically wanted to share my book collection (which are mainly art history and theory books) with people in the art community because I realize that art books are not widely available and easily accessible to the public. And I also wanted to space to defy the notion of a passive library so I started to organize events and activities to try to make The Reading Room active and energetic and more accessible to the audience. ──Everyday we can enter to The Reading Room for free. Do you have another job? The Reading Room depends a lot on donations from individuals (friends, acquaintances, and others who appreciate in what we do). I also have other jobs here and there, mostly art-related — teaching, writing, researching, translating, curating, etc. But these jobs usually don’t yield much money, and sometimes not at all! ──Do you use English on every events at The Reading Room? I can’t speak Thai language. Is it no matter to attend any lectures or workshops? It depends on each event. Some events are in Thai, some are in English, and some are bilingual. I normally try to do as many bilingual events as I could, especially talks and workshops, it depends a lot on the speakers too. However, most film screenings at The Reading Room have English subtitles. You can get some flyers of current exhibitions and events in Bangkok at The Reading Room. I think this place works as a resource center also. If you want to get the info about art in local, you should visit there first. photo from facebook album of The Reading Room.